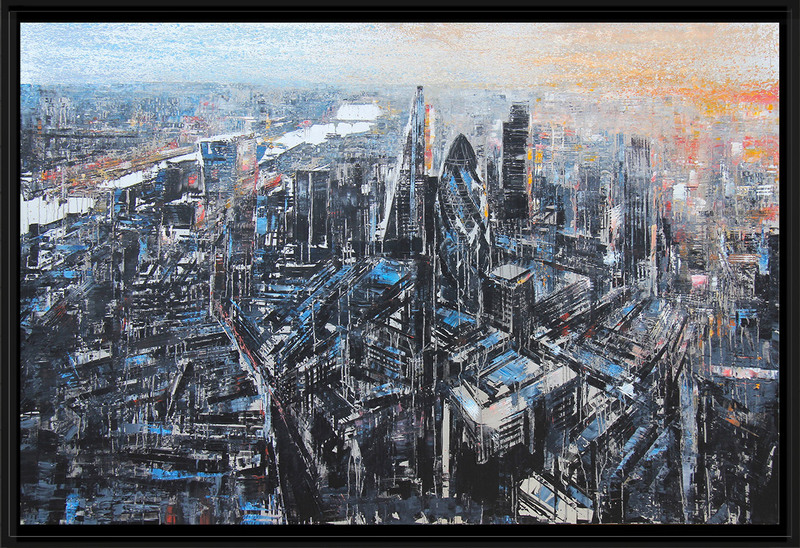 48″ x 32″ Limited Edition giclee print on aluminium. Part of a limited edition print run of 50. Paul is fascinated by the way light interacts with buildings, creating often striking contrasts. 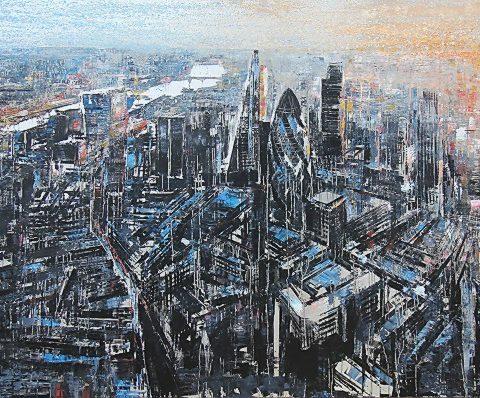 In this London piece, black structural lines are juxtaposed against glimmers of soft pastel colours, suggesting changing light across the city and the passing of time. Areas of the aluminium are left exposed to allow for light to be reflected off the surfaces of the buildings throughout the day, as it would do in reality. 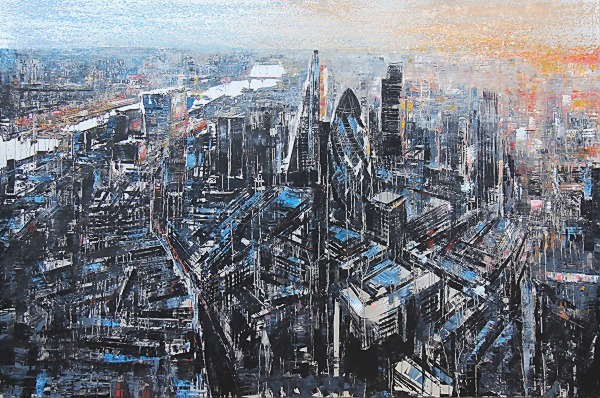 This loosely-painted London cityscape allows the viewer to look down into the depths of the city and to the distance, where the sunset offers a moment of tranquillity.